Over the last few weeks there have been many times when I’ve been lost in the dark and the rain, navigating wild landscapes with a mounting sense of desperation; my 3G has failed me so often I can barely bring myself to look at it anymore, and unfortunately I have the sense of direction of a teaspoon. If you’ve seen someone clawing themselves along the streets of Manchester like a very dishevelled, totally manic Bear Grylls, that almost certainly will’ve be me. If I’d had Iridium Go! MiFi though – final refuge of the lost – I would’ve saved myself a lot of time, three pairs of shoes, and one umbrella. 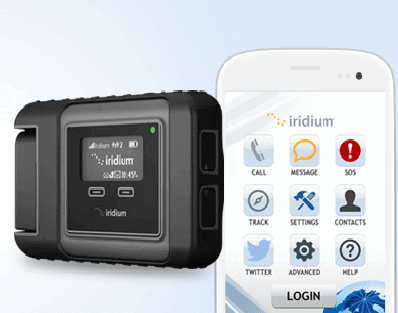 What the new Iridium app gives you is MiFi – Wi-Fi access – anytime, anywhere. It’s not particularly fast or sophisticated, but if you found yourself in a desperate situation – needing to contact an embassy, or download a map whilst lost in the wild (or on the streets of Manchester) – the ability to summon a Wi-Fi genie would be invaluable. Iridium GO! lets you connect up to five devices anywhere in the world through satellite, and make voice calls through android and OS; if you upgrade to the iridium mail and web app you can do lots more on the internet – just download the app onto your OS or android device first. It’s a pretty sturdy, military grade design, and comes with an SOS button and GPS. The antenna does need to be able to see the sky though, so it won’t work if you’re under shelter. Also it’s quite heavy at 300g, so it may not be ideal for lugging around every time you leave the house. It should be out in the first half of this year and whilst there are no roaming charges it’s expected to be around £500; data price plans probably won’t be cheap either, so maybe I won’t start trekking around our northern wilds with it just yet. If you have any questions about our speeds or connectivity, call 0208 045 4945.